The 18,488-square-foot facility will be built on 6.54 vacant acres at 10093 Lake Nona Blvd., which is west of Narcoossee Road, south of Lake Nona Boulevard and north of State Road 417, according to a draft agenda for the Feb. 14 meeting of the Southeast Town Design Review Committee. The project, owned by Adventist Health System/Sunbelt Inc., is seeking approval as a standalone emergency room. The new facility is part of a growing trend in the area to build more freestanding emergency centers. Freestanding emergency centers typically are owned and operated by licensed hospitals. The facilities are not connected to a main hospital campus but offer the same comprehensive 24/7 emergency services. 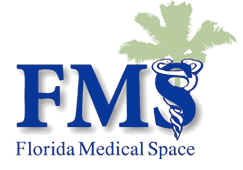 The number of such facilities is on the rise in Florida, in part due to overcrowded ERs, and partly due to a desire to grow hospital system revenue. Hospital systems eventually may also expand them into full hospitals if they can prove the need for a facility. For example, HCA Healthcare Inc.’s Oviedo ER, built in 2013, became a $109 million, 64-bed hospital called Oviedo Medical Center in 2017. The state had only 26 freestanding ERs in 2016 and that number has grown to 41, according to the Florida Agency For Health Care Administration. The total count will rise to 50-plus with the Central Florida projects in the works and may go even higher, since they fulfill a strategy for hospital systems to grow revenue by bringing emergency care closer to outlying, typically affluent suburbs, where people are more likely to be able to afford health care. This is the sixth such facility AdventHealth has in the works or already has built. AdventHealth broke ground on another freestanding ER in Oviedo last November. 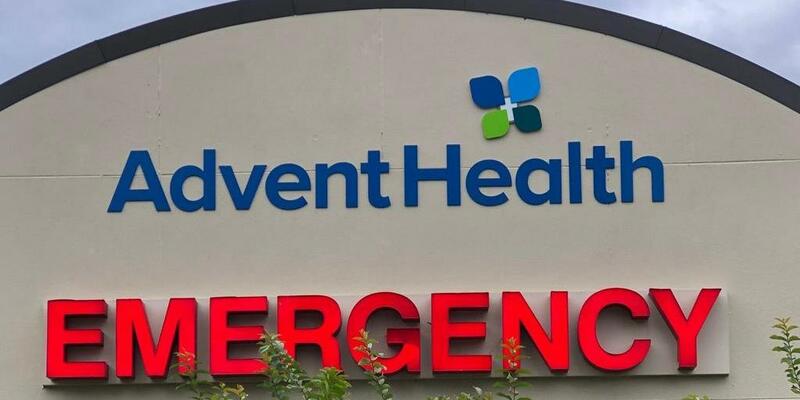 The Orlando-based nonprofit health care provider will open the 19,000-square-foot AdventHealth Oviedo ER by fall 2019. The facility at 8100 Red Bug Lake Road will include two kid-friendly patient rooms, imaging technology like X-ray, CT scan and ultrasound equipment, as well as a medical laboratory. AdventHealth, which also has freestanding ERs in Lake Mary and Winter Garden, plans to build a $12 million, 14,000-square-foot freestanding ER in Deltona as well as a $15.6 million, 19,000-square-foot freestanding ER in Waterford Lakes that’s expected to open in second-quarter 2019 and have 300 temporary construction jobs and 100 permanent medical jobs at full buildout. Its $65 million, 97,000-square-foot freestanding ER in Winter Garden opened in February 2016. That outpatient facility, which broke ground in 2013, brought 269 new jobs to the area, $14 million in additional annual payroll and a $23 million boost to Orange County’s gross domestic product, Winter Garden City Commissioner Colin Sharman previously told OBJ. Meanwhile, AdventHealth system’s Altamonte Springs-based parent company Adventist Health System bought roughly 15 acres on the north and south sides of Lake Nona Boulevard in December 2017 for $9 million. The land is adjacent a vacant 67.24-acre site Adventist bought in 2016. AdventHealth parent Adventist Health System is the second-largest employer in the area with more than 83,000 employees for 2018. The health care system operates nearly 50 hospital campuses and hundreds of care sites across the U.S. in almost a dozen states and serves more than 5 million patients each year. Founded in 1908, the $3.36 billion nonprofit AdventHealth system headed up by CEO Daryl Tol provided $45.3 million in uncompensated health care in 2016.